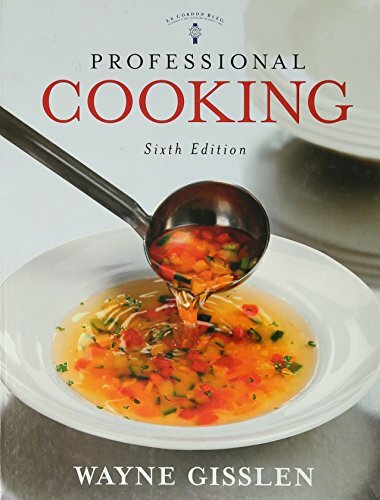 Key features of this new Sixth Edition include: over 100 new, fully tested recipes; a brand new chapter on vegetarian cuisine, featuring different types of vegetarian diets; expanded and updated information, such as a contemporary look at presenting and garnishing food and a detailed history of modern food service; nearly 1,200 illustrations including over 100 new photographs that highlight ingredients, step by step techniques, and plated dishes in splendid visual detail; completely revised, updated, and expanded vegetable chapters that feature additional product identification and cooking techniques, as well as new recipes. It also includes: revised and expanded Nutrition chapter that features the new USDA nutritional guidelines; and stunning new design helpful sidebars and dedicated chapters on menus, recipes, and cost management; cooking with legumes, grains, and pastas; breakfast preparation; dairy; and beverages. New culinar E Companion recipe management software features user friendly navigation and robust content.